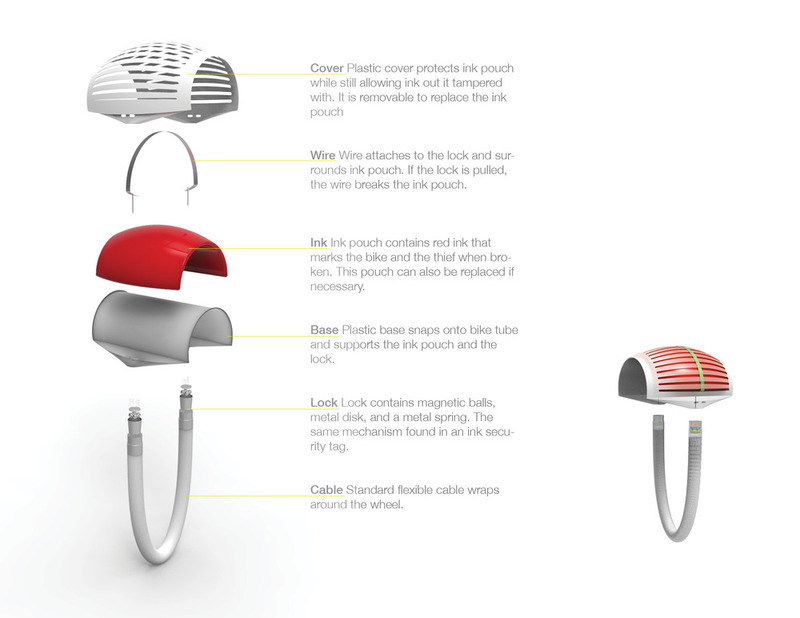 Prynne is a bike lock that wraps around the front wheel of a bike. When it is locked, any violent movement will cause an ink pouch to break, marking the thief and the bike. The mechanism inside is similar to an ink security tag for clothing.